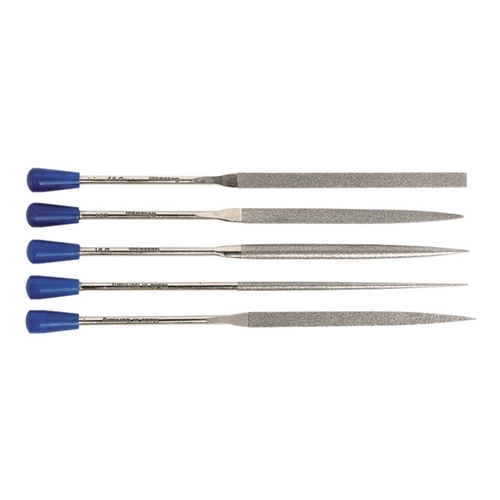 High-quality diamond files at economical prices. Feature a combination of natural and synthetic diamonds firmly plated onto durable steel blanks. Made in Germany. Available in Medium (red handle) or Fine (blue handle) grits. Medium grit is D126 or U.S. standard 120/140. Fine grit is D91 or U.S. standard 170/200.